We are almost half way through the year and my reading challenge is going extremely well! I should say I am grateful that I am going through this challenge and my objective is to get this a regular challenge from onwards. The month of May will be an interesting month for my life because it will represent some endings and beginnings for my future life. I shall be sharing these positive developments next month with you. Sakyong is a Tibetan lama and leader of global community of more than 200 meditation centres. 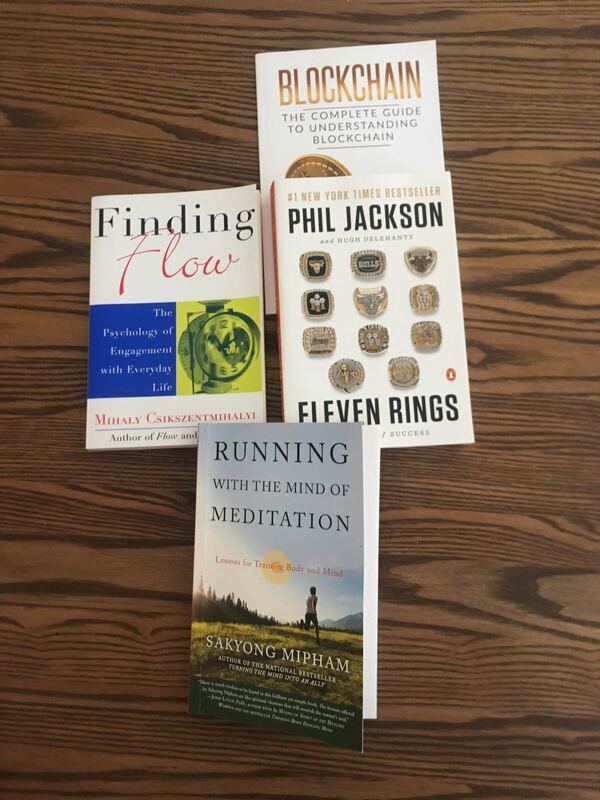 In his book, he discusses physical activity could be more effective when it is combined with a meditation and particularly running is a good combination with meditation. He shares his insights about his running experience and how he developed its base within the first two years. He believes there are stages in running; lion, tiger, gradua and dragon and each stage represents developments not only in our physical strength but also our minds. Extremely insightful and useful book on running with those seeking peace of mind.I have been running for some time now, I should say it is extremely powerful tool to release energy and revitalise your mind and body. I wish I had never had a break after ending my professional volleyball career. Our lives are being spent between productive activities, maintenance activities, and leisure activities. It is extremely important to find the meaning of our lives and make a conscious effort amongst those activities to make everyday great and meaningful! Otherwise we will walk through our unaware and consciousness state of living to be open to be manipulated by the others which in turn very likely make us unhappy.This book explains these concepts in a very plain language with stunning examples. I hope most of us at once to try rather to die! Phil Jackson won more championships than any coach in the history of American pro sports and he was the head coach for Chicago Bulls and Los Angeles Lakers. In his book, Phil Jackson shares his way of approach to leadership based on freedom, teamwork and authenticity. Since I am trying to understand Blockchain more and more, this is a short handy book to get some more insight of Blockchain technology. I look forward to writing my next month’s article!